Neutral runners looking for dynamic cushioning with the best performance. 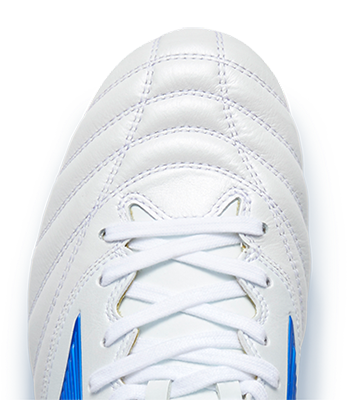 A ground-breaking shoe for Mizuno, it was first to carry the Wave technology, utilising the unique construction to provide an all-in-one solution for cushioning, stability and energy return. The Wave Rider series is the epitome of our goal to provide only the best running experience. Whilst the original shoe has evolved, it has retained that ‘Rider feel’ which is important to so many runners. The latest edition, Wave Rider 22, carries on the legacy by taking yet another step towards creating the best possible running experience. Featuring the latest in Mizuno Wave technology, you will instantly notice the softer and smoother ride, but can also feel reassured that the stability element is still there. By continuing to listen to the feedback from the running community, we will continue to develop the ultimate Wave Rider model. The combination of the midsole compounds U4icX and U4ic paired with Wave technology delivers the most dynamic cushioned and light feel on the market. The full engineered upper mesh combined with the DynamotionFit construction provide a superb fit. A unique midsole compound providing high comfort and perfomance, while being extremely lighweight.